Andrew Redington, MD, has been selected as the chief of Pediatric Cardiology and executive co-director of the Heart Institute at Cincinnati Children’s Hospital Medical Center. He will also be appointed as professor of Pediatrics, University of Cincinnati. Currently, Dr. Redington directs the Division of Cardiology at The Hospital for Sick Children, Toronto, with academic appointments in both the Department of Pediatrics and in the basic science department of Physiology and Experimental Medicine. He will join Cincinnati Children’s in November. 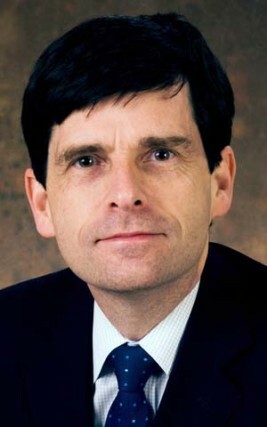 Dr. Redington’s clinical and research interests are in the pathophysiology of congenital heart disease with a special emphasis on the study and use of innate mechanisms, such as ischemic preconditioning (a technique for producing resistance to the loss of blood supply) that might spare the heart during cardiac surgery. His current research is supported by the Heart and Stroke Foundation and the Canadian Institute of Health Research. In addition to obtaining two patents, Dr. Redington has published approximately 300 peer-reviewed papers and is in great demand as a speaker around the world with approximately 40 invitations in the last two years alone. Dr. Redington graduated from the University of London. He obtained his postgraduate medical diploma in Internal Medicine and subsequently received his doctorate of medicine in 1988 (UK).